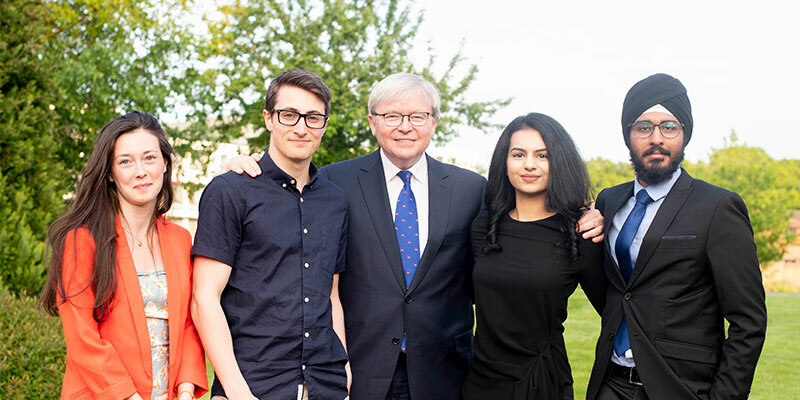 Kevin Rudd, the 26th Australian Prime Minister delivered his talk on the first ten years of the G20 Summit, as part of the Warwick Economic Summit 'WES Presents' event. Kevin Rudd served as Australia’s PM between 2007 and 2010 and again for two months in 2013. During his tenure, he distinguished himself as the first Australian PM to publicly apologise to the Indigenous Australian “Stolen Generations” on behalf of the federal government. A committed environment advocate, Mr Rudd signed the Kyoto Protocol and made the fight against climate change a key priority of his cabinet. In November 2008, he was part of the first G20 Summit featuring the state leaders of the world’s major economies. Set up in 1999 as a reaction to the 1997 Asian crisis, the G20 had initially served as a discussion platform for Finance ministers and Central Bank governors. In 2008, amid fears of a new Great Depression, the G20 gathered Heads of Government to devise coordinated monetary, fiscal and regulatory actions to preserve global economic stability. As a key player in those pivotal discussions, Mr Rudd shared his views on the successes and failures of the G20’s first 10 years and reflected on the new challenges it faces. You can read further details of this event by reading the blog post posted on the Warwick Economics Summit website.